Aside from beautiful sunsets and relaxing walks along local hotspots such as Tigertail Beach and Vanderbilt Beach, seniors enjoy access to a health care system that helped Naples place first in nationwide well-being community rankings in 2016. Even better, healthcare costs in Naples rank near Florida’s average, making it affordable. 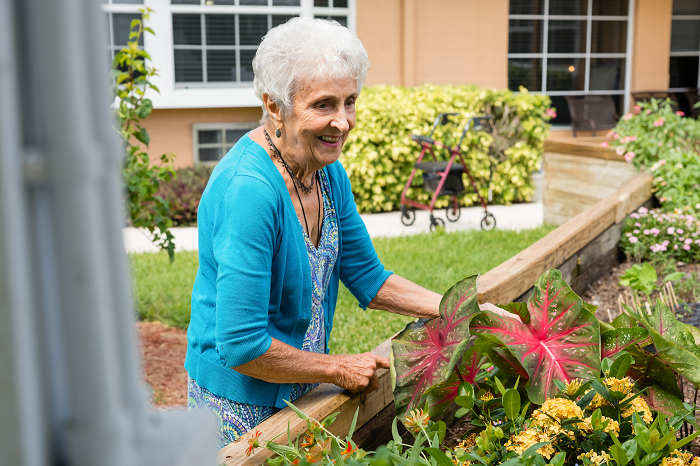 Vibrant senior communities, Gulf Coast sunsets, and popular destinations like Naples Pier, Fifth Avenue South, and Waterside Shops are just a few of the reasons why memory care in Naples is a great choice. Nobody experiences the progression of Alzheimer’s and other forms of dementia in the same way, and finding memory care in Naples that takes a customized approach to care will yield the best results. Barrington Terrace of Naples, for example, offers completely individualized care programs in small, intimate settings. Nutritional Support: Eating becomes more and more of a challenge for people with dementia; senior living options that use meal preparation and presentation techniques that make it easier to handle, chew, and swallow food help support your loved one's overall health. Family Counseling: The progression of dementia can be devastating for family members; look for memory care that offers family counseling and support to assist your family throughout the process. Security: 24-hour supervision and support, in addition to secured entrances and exits, ensure your loved is never far from a helping hand. Modern: Researchers constantly make new breakthroughs in our understandings of dementia and memory care; find a community that’s using the most modern approaches to memory care and cognitive care training. Finding the right memory care in Naples will elevate your loved one’s quality of life and possibly even slow their cognitive decline. And family members can enjoy peace of mind in knowing their loved one is in good hands 24 hours a day. Gulf Coast Sunsets, relaxing walks, and beautiful weather make Naples an excellent community and home for seniors with dementia. Finding a community with individual care plans based on the most recent scientific breakthroughs, nutritional support, and family counseling ensures that people with dementia and their families are well care for. Learn more by contacting Barrington Terrace of Naples.